Despite the looming awkwardness of that hometown show Moore says she is looking forward to the tour. After a successful run of dates with both The Shins and Father John Misty, Moore tells me she is excited to have first billing and perform for audiences that are there to see Tennis instead of a different headliner. On top of that, the band gets to tour with their friends from New York electro-pop duo Overcoats (“We played a five-day stretch with them at the beginning of last year and we just wanted to tour with them forever,” Moore informs me). 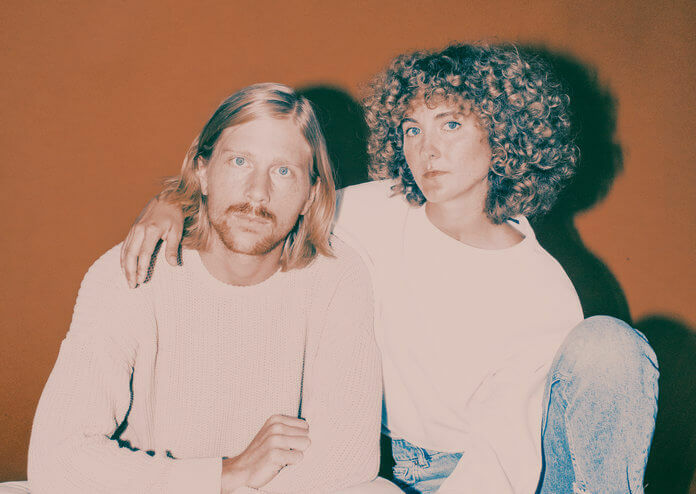 With a great opener and an influx of new material to play via the band’s latest releases, Yours Conditionally and the We Can Die Happy EP, there is a lot to look forward to in the coming month for Tennis. In addition to a recording on their own label, the band (composed of Moore and husband Patrick Riley) also decided to produce their latest releases themselves. After working with the likes of Spoon’s Jim Eno and Patrick Carney of the Black Keys, the couple felt ready to try producing for on their own. “We worked really hard to learn stuff from everyone we worked with and we accumulated a lot of knowledge and gear,” Moore tells me. “Richard Swift (producer and one-time Shins member) changed our view on the gear we need how to mic everything” (she says that using two mics on the drums is key). There is a genuine sense of enthusiasm in her voice as she tells me all this, and she seems just as excited to be able to grow as a producer as she does a musician. That’s definitely apparent on both Yours Conditionally and the We Can Die Happy, which includes some of the duo’s most intimate pop gems to date. “I feel like we’re inching closer to something in the songwriting,” Moore tells me. I ask her if she thinks perfection is something that’s attainable in music. I’m then treated to an impromptu philosophy lesson on Aristotle and Nietzsche’s differing views on perfection. Moore states that she falls closer Nietzsche’s view in which perfection is something you are always striving for but never attain. When I joke that it doesn’t sound like the most rewarding way of viewing things Moore disagrees. “I definitely have those days when I’m pessimistic about the process, but I think it’s a really beautiful way of going through life, chasing after that idea.” And even though Moore thinks Tennis will never achieve perfection, there will certainly be plenty of people in the audience at the Waiting Room who feel like they already have.